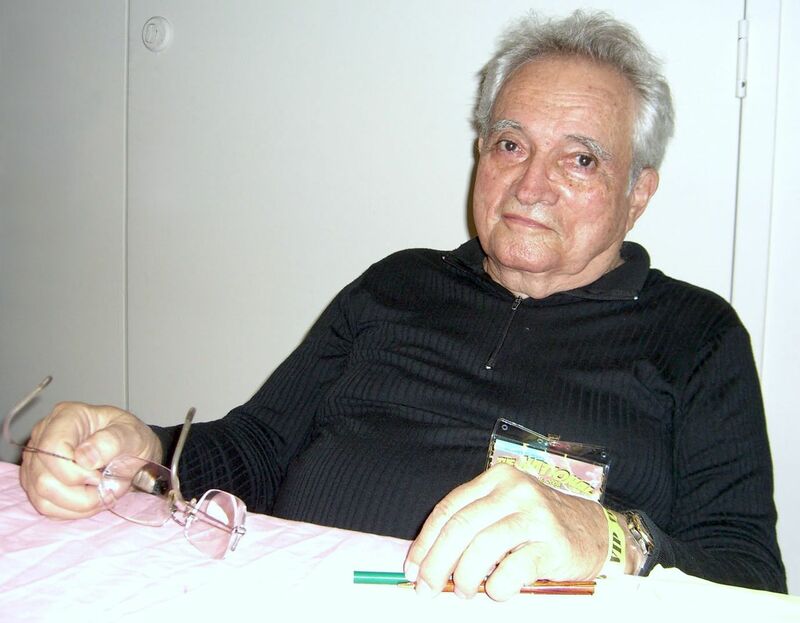 Comic writer/artist and industry legend Russ Heath has died. Newsarama reports that Heath’s family confirmed on Thursday the 91-year-old artist’s passing. Russell “Russ” Heath Jr. got his start drawing western comics for Marvel (nee Timely) Comics in the late ’40s. His work spanned decades – he worked well into the 2000s – and genres from superhero and science fiction to horror and crime drama. 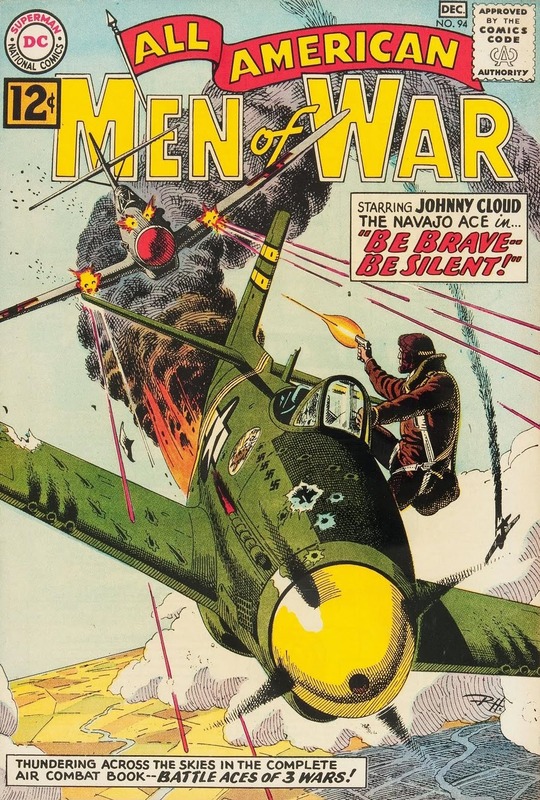 Heath’s niche was in war comics, though, which he worked on for Timely, EC, and eventually DC Comics, where he enjoyed long runs on Our Army at War and G.I. Combat. He was awarded an Inkpot in 1997, and inducted into the Will Eisner Comic Book Hall of Fame in 2009. Heath is perhaps best known to the world at large for panels swiped by pop artist Roy Lichtenstein, an experience Heath described in a one-page comic he wrote and drew in 2012 for The Hero Initiative, an organization Heath championed, and which provided Heath with substantial assistance in his last year when his mobility became more impaired. Let’s all raise a glass for Russ Heath. RIP, Russ. I’ve been enjoying your work since I first read “Sea Devils” in the early 1960s. You were always gracious with your fans, and I’ll never forget the laughs, the portfolio review you graciously did of my work in the mid-1970s, and everything else. Your skill and creative longevity in the comic book field was amazing, and you are greatly missed. Along with Joe Kubert, the greatest DC war artist. I *can* see the artistry in Roy Lichtenstein’s ‘appropriations’ of Russ Heath’s action-packed panels. But I can also see that Lichtenstein’s later works never achieved the same impact as his comicbook swipes, which suggests that he owed Heath (R.I.P.) a hell of a lot more than a glass of wine. I loved his work. Along with John Severin, I always identified Heath, first and foremost, as the definitive comics artist for Westerns. Post-1960s, that’s a fairly narrow genre for the comic book medium; but he kept popping up with great work, including ghosting Stan Lynde’s daily LATIGO strip for a few months in the early 80s. Coincidentally, I found Heath’s work in an unexpected place a few weeks ago: inking Michael Kaluta’s pencils in THE SHADOW: HITLER’S ASTROLOGER graphic novel from 1988. In the end, I think it’s more Heath than Kaluta; but it’s good stuff. 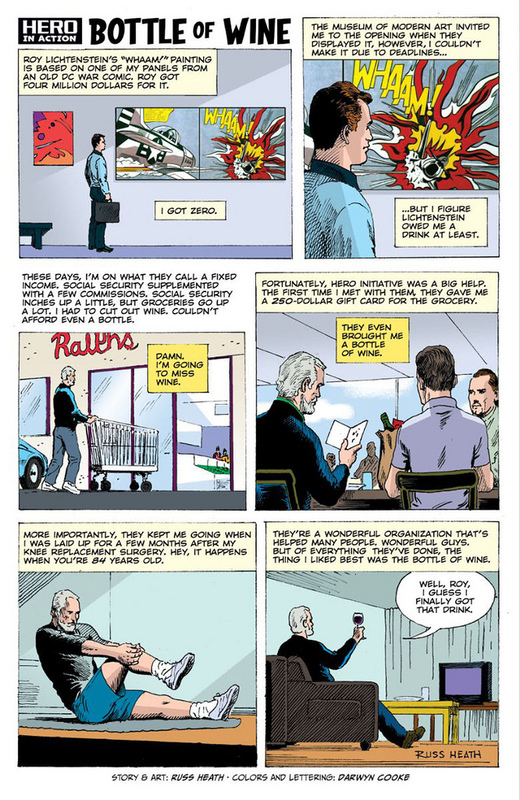 I’m gonna go one step further: Roy Lichtenstein plagiarized Russ Heath and every single cent he ever made off Heath’s work should go to Heath’s estate. Every other artist that thief stole from should get the same deal, too — every single sent Lichtenstein ever derived from his thievery. The tradition was carried on in more recent years by Rich Buckler and Keith Giffen. Today the practice is generally acknowledged and described as a “homage” rather than a swipe. Very glad I got to meet him back in the ’90s (I think) and shake his hand and thank him for his work.